So you’ve made up your mind: you’re good with numbers, you like everything business and finance, and you’re patient and hard-working (and if not, you will soon become). You also like the idea of starting out your career with an average starting salary of $70,698 from one of the big CPA firms. Which means accounting seems like the best way to go – especially when you throw in a hefty salary, a prestigious career path and unrivaled job security. So how do you get there? It all starts with a degree – but don’t mistake this for just another four years in school. When it comes to accounting, university is where your career starts and where you get the chance to stand out from the crowd – and the earliest you do this, the better! What is a CPA/Accounting degree? How to Get One? 0.1 What is a CPA/Accounting degree? How to Get One? 1 So why go to all the trouble? 6.3 So how do you get that accounting dream job? 6.3.1 Find a great internship and strive to make a good impression. To start a career in accounting you will usually need a four-year degree in Accounting or a relevant subject. While an Associate’s Degree can qualify your for bookkeeper and assistant accountant jobs, you will need a Bachelor’s degree to apply for senior accounting positions. You will be expected to hold a high school diploma or equivalent to enroll in an accounting program. Some schools may also require you to have a certain minimum GPA (for example, 3.0 or better). Good results in relevant courses such as math and English can be an asset, while extracurricular experience, whether paid or voluntary, can help you gain admission into a well-regarded school. Things get even more complicated if you’re looking to start a career as a CPA (Certified Public Accountant). To get certified as a CPA, most states will require you to complete 150 hours of higher education. This means 30 credits more than your usual Bachelor’s degree, which can be acquired via a Master’s degree in Accounting or a related subject such as Business Administration. You will also need to gain one or two years of experience under the supervision of a CPA, as well as sit for a challenging four-part examination. First and foremost, a CPA license can make a great difference to your salary: experienced CPAs earn between $80,000 and $110,000, while new college graduates holding a CPA license earn 5-15% more than their peers. At the highest levels, the salary difference between CPAs and non-CPAs can be as large as $50,000. Indeed, over the course of a career, this may mean earning $1 million more than your non-licensed counterparts. But a CPA license can also impact your career perspectives. 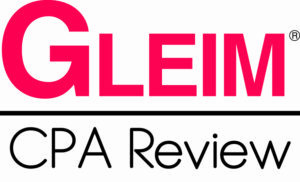 As a CPA you will be qualified for high-level jobs in auditing, business, taxation, management, as well as for positions involving a great deal of responsibility. Employers often select CPA-licensed accountants for management and leadership jobs, while partners in accounting firms are usually CPAs. The prestige and quality associated with the CPA credential will enhance your career opportunities and your job satisfaction in the long run. Career security is another main reason why people decide to earn their CPA license despite the hard work required. The shortage in accounting professionals, the growing need for financial transparency, the complexity of new regulations and growing number of companies all mean only one thing: that qualified CPAs are unlikely to ever be out of a job. If you’re looking for a fast track into the field of accounting, an Associate’s Degree can be a solid start. An Associate’s Degree typically takes two years to complete and is offered by most community colleges and technical institutes. You’re unlikely to have to relocate and you’ll be starting your new career in the shortest time possible. On the downside, an Associate’s degree does not open the same doors as a higher degree. You will be qualified to work as a bookkeeper, clerk or accounting assistant and you may be able to work your way up the accounting ladder in time – but if your eyes are set on that six-figure income, you’ll probably need to earn a higher degree eventually. Luckily, many schools partner up with bigger universities and offer Associate’s degrees that count towards a higher degree. So if for any reason you cannot commit to a Bachelor’s degree at the moment, you can start with a shorter, cheaper and less intense Associate’s degree. Whatever your work commitments, you’ll find a program to accommodate your schedule: degrees are offered on campus, online or in a hybrid format (blending online learning with on-campus sessions). In fact, online Associate’s degrees are so popular that they comprise more than half of all degrees completed online. An Associate’s degree in accounting will usually require you to earn around 60 credits and will cost an average of just over $10,000. This amount may be offset by scholarships awarded to excellent students or certain categories of the student population. To gain admission into an Associate’s degree in Accounting you will need to hold a high school diploma or equivalent. Extra-curricular experience will help you stand out among applicants, while a good GPA (2.5 or better) can also be an asset. Some schools may also use SAT exam scores as criteria, but entry requirements are usually more lenient than those for Bachelor’s degrees. The curriculum will typically include general education courses, as well as specialized courses in accounting, auditing, taxation, business, economics and relevant technology. While less rigorous than a Bachelor’s degree, such a program will prepare you to undertake entry-level positions in the field or alternatively to continue your studies. Associate’s degree graduates earn over $6,500 more than high-school graduates and face a 30% lower unemployment rate. On the other hand, accounting graduates with an Associate’s degree can earn as little as 50% of the salary earned by accountants with a Bachelor’s degree. Some well-regarded colleges and universities offer Associate’s degrees in Accounting that can put you at an advantage in terms of education and networking opportunities. One example is the Associate of Science in Business Administration offered by Penn State University. The program offers a solid foundation in business and can be a stepping stone towards a Bachelor’s degree. For a more specific degree in Accounting, you can pursue the Associate’s degree in Accounting at Bay State College, with a comprehensive curriculum covering accounting, taxation, auditing, bookkeeping, as well as management. A similar course is offered at Mount Washington College; this 1900-established program focuses on specific accounting skills that can lead to employment in entry-level accounting positions. A Bachelor’s degree in Accounting or a related field such as Business Administration can be the start of a successful career – especially if you strive to gain experience early and network as much as you can. This type of degree usually consists of 120-150 credits taken over four or five years and covers general education, business and accounting topics in depth to provide you with all the skills necessary to be a good accountant. While this degree is the most common starting point to an accounting career, it can be a difficult investment in terms of both time and money. The average tuition cost of a Bachelor’s degree in Accounting is over $17,600 per year. This can seem daunting, but don’t forget that you can resort to financial aid, as well as a wide array of scholarships amounting to over $7,500 on average. With some 1,500 accounting Bachelor’s degrees offered in the US, a prestigious school with an accredited accounting program can make a big difference on your CV. When choosing a degree, don’t shy away from the most difficult programs, as they are the ones that will teach you the most. The quality of your program can make an incredible difference to the opportunities you have – ranging from what you learn to whom you meet and ultimately who employs you. Students applying for a Bachelor’s degree usually need to hold a high school diploma and a minimum GPA of 3.0 or 3.5. Certain SAT scores may also be required as well as evidence of proficiency in English and other relevant subject areas. The course load in a Bachelor’s degree can be intense. While your major will usually be in Accounting, your minor can enhance your employability (for example a highly useful minor in Computer Information Systems or Business Law). You may also choose a double major as a way of earning the 150 credits required for CPA certification. Bachelor’s degrees in Accounting come in a variety of forms, including on-campus, online, hybrid, full-time and part-time. Bear in mind that on-campus programs are generally more respected by employers and offer you more opportunities in terms of hands-on experience and networking events. There are many outstanding undergraduate accounting programs that can make your job application stand out simply through their prestige. For example, the top-rated Bachelor of Business Administration at the University of Texas boasts a comprehensive curriculum as well as a focus on active learning and career development, with graduates reporting starting salaries well over $50,000. Another example is the Bachelor of Science in Accounting offered by Brigham Young University. Almost all of the students gain employment upon graduation thanks to the program’s excellent reputation and teaching. Similarly, Bachelor of Science in Accountancy students at the University of Illinois benefit from various opportunities to gain hands-on experience and are thus highly employable upon graduation. Generally, accountants holding a Bachelor’s degree earn between $35,000 and $65,000 depending on their location, chosen field and level of experience. If you wish to advance even higher in accounting and maybe even earn the coveted CPA certification, you may consider an advanced degree in Accounting. In a more and more dynamic and competitive business world, accountants that are Master’s graduates are highly sought after. While they do not necessarily earn more than other accountants, they tend to get promoted and advance faster in their careers. Even more, a 30-credit Master’s degree can be the best way to fulfill educational requirements in order to become a CPA – and the combination of a Master’s and a CPA license will open you the doors to the highest accounting positions. While a Master’s degree is highly desirable for these reasons, you need to remember that it entails one more year of advanced, difficult study and yet another expensive investment in your education. The average tuition fee for a Master’s degree in Accounting is over $18,000. Scholarships are sometimes available to offset this cost, but not as often as in the case of undergraduate degrees. You need to hold a Bachelor’s degree in Accounting or a related field, as well as a GPA of 3.0 of better in order to apply for a good Master’s program in accounting. Depending on the school, GMAT or GRE scores may also be taken into account, as well as extracurricular activities and experience. To advance your accounting career you can pursue a Master’s degree in Accountancy, which may allow you to specialize in accounting, taxation, auditing or information systems. This degree will usually focus on advanced skills and specific accounting topics. Alternatively, you can choose to pursue a Master of Business Administration with a focus in Accounting and gain a broader knowledge of management, business and accounting that can open up a wide range of career paths. Just like Bachelor’s degrees, graduate degrees in accounting can be completed on-campus, online or in a hybrid format, full-time or part-time. While the delivery format you choose will depend on your professional life, on-campus Master’s degrees tend to be more beneficial in terms of reputation and networking opportunities. The Master of Professional Accounting offered by the McCombs School at the University of Texas is the top-ranked graduate accounting program in the US. Other highly rated Master’s programs include the Master of Science in Accountancy at the University of Notre Dame and the MBA at the University of Pennsylvania. These programs share an excellent blend of rigorous teaching and hands-on experience offered through field work, internships, volunteering programs, on-campus activities and networking opportunities. The highest accounting degree you can complete is a PhD in Accounting. While a PhD can take between four and seven years, it certainly won’t feel like work if accounting research is what you love and what you see yourself doing in the future. In fact, there’s never been a better time to earn your accounting PhD and join academia. Given the shortage of qualified accounting faculty, your starting salary is likely to be over $70,000 and well into the six-figure realm. In fact, the average salary of recently hired accounting professors was $127,400 in 2009 – and depending on the school and other compensation elements, this can rise above $200,000. If a job in academia is not your cup of tea, a PhD can also bring you a higher income in a senior accounting job – although you may wish to think twice before investing so much time in an academic position. A PhD is definitely not to be taken lightly: it involves years of full-time hard work culminating in an independent thesis. While the tuition is costly (almost $19,000 on average), you may be able to secure a scholarship package and a stipend to help you through your studies. To enroll on a PhD program you will be expected to hold a Bachelor’s degree and often a Master’s degree or relevant experience. Your scores on the GMAT or GRE exams may also be taken into account. Accounting PhDs are offered both on-campus and online: as the focus is on your independent project with minimal coursework, the PhD offers more flexibility in terms of delivery format. The University of Texas has the highest rated doctoral program in accounting (according to the Public Accounting Report, 2013). Stanford University and the University of Chicago are also highly ranked in terms of their accounting research and facilities and offer excellent PhD programs in accounting. Online degrees are a popular alternative for students wishing to start an accounting career, especially for career changers, working professionals and those unable to relocate. Online degrees offer the most flexibility and allow you to study at your own pace. The amount of time it takes to earn your degree can vary. On the other hand, employers do not regard online degrees as highly as traditional degrees. What is more, an online program will not offer you the same employment opportunities, as many firms only recruit graduates on campus. You will also be missing out on opportunities to gain experience and network with potential employers – arguably the most important aspects of an accounting degree. If distance learning is the best option for you, remember that a good online program should be accredited and offered by a not-for-profit school. While tuition fees can often be as high for online programs as for on-campus degrees, some universities offer highly affordable online degrees at all levels starting as low as $6,000-$15,000 per year. It’s a great time to be an accountant! The degrees outlined above can help you enter one of the most lucrative fields in the world of business and finance. Accounting and auditing jobs are expected to grow by 13% until 2020, while salaries are also rising steadily. In fact, salaries for most accounting positions have increased by 2-4% since 2014. The mean annual wage for accountants and auditors most recently reported by the Bureau of Labor Statistics is $72,500. Depending on your location, experience, credentials, position and field of work, the pay level can vary widely and can increase by over 100% as you acquire experience. What is more, accounting is a field where you can advance fast, especially if you earn additional certifications such as CPA. Another advantage to consider when starting a degree in accounting is the diversity of potential career paths. With a degree in accounting you can pursue a career in public or private accounting, you can work for the government or for a non-profit organization, for a big corporation or a small firm, or you can even start your own company. You can also pursue forensic accounting and play detective in the financial world, or you can go into international accounting, a highly relevant field in a global business environment. And your options don’t end here – your degree will be highly relevant for many jobs in business and finance, as well as executive positions involving high responsibility. Finally, you may also choose to pursue accounting research and embark on an academic career as an accounting professor. So how do you get that accounting dream job? First of all, don’t forget to network from day one of your degree. Go to career fairs, do job shadowing, join student organizations, attend networking events – and don’t be shy to speak to recruiters as often as you can. Secondly, gain as much experience as possible alongside an excellent academic record. Get involved in student organizations, volunteering programs and student competitions. Find a great internship and strive to make a good impression. Finally, work on your resume and interview skills and impress your employers. University workshops can help you with employability-related skills and career fairs are often the best place to land a job offer or start a professional relationship. Be prepared and let your authentic enthusiasm for accounting shine through. Having a strong degree from a prestigious institution will also help you stand out in a competitive job market, as will an advanced degree or a professional certification such as CPA. Your job prospects will be significantly enhanced as a CPA, and if you decide to get certified you will find that the effort pays off. Finally, remember that starting an accounting program is the first step of your career. University is your first contact with the world of finance and business and everything you do here can have an impact on your future. Seize every opportunity, learn, network and your accounting dream job is likely to be waiting at the end of the road. 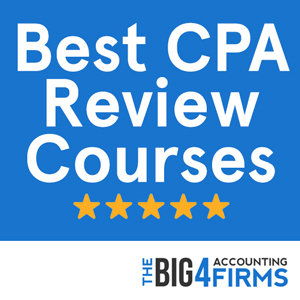 What are the Best Accounting Programs in The United States?